For a few hours in the morning, twice a week, Big Sister E heads off to "summer camp," where she has a great time playing and learning with a group of other preschoolers looking for some fun. So, two days a week Little Sister B and I have a little quiet time until, without fail, I glance at the clock and realize we have to hurry up and leave to go pick up her big sister. When we get there, I have to show a card in order to be let inside, which I don't mind. It's good security, right? However, as I'm pretty much always wearing my standard outfit of yoga pants or sweatpants and a t-shirt or tank top, that means one thing: no pockets. So every week I fiddle with trying to keep track of the card, my car keys and Little Sister B as we go inside. On the way out is worse because then I not only have the card, my keys and my daughter, but Big Sister E, her backpack and the random art projects she has created. In the past I stuck things in my shoe or tucked them into the waistband of my pants and ended up generally annoyed by it. I don't need the diaper bag and this isn't 1990 so I'm not going to wear a fanny pack... what does that leave? 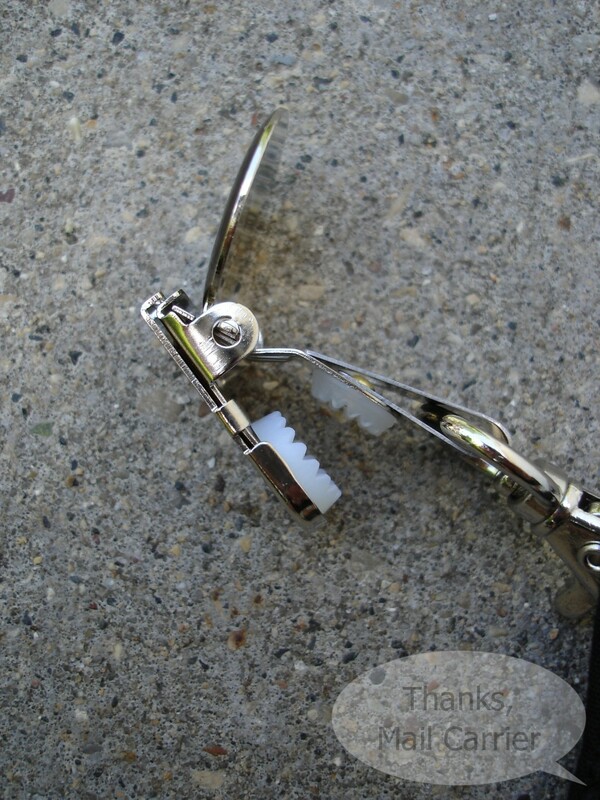 Introducing my new favorite accessory: the Hip Klip and Klub Pocket from Purse Bling. 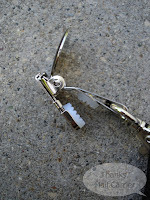 A patented clip that attaches securely and holds on tight, the Hip Klip itself is an attachable keychain that can grab right onto your waistband, purse, backpack, boots... pretty much anywhere! Use it on its own and never have to dig down to the bottom of your bag for your keys or worry about them falling out of a shallow pocket. Opening and closing the Hip Klip is really easy and how could I not feel ready to hit the beach every time I see the cute flip flop design that I picked out? 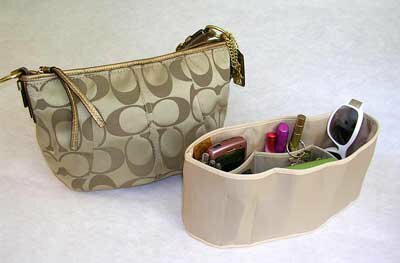 However, making a good thing even better, attach a Klub Pocket right onto the Hip Klip and you have an instant hands-free mini purse. This specially designed 5.25" square wallet not only takes the place of carrying around an entire purse or bag when you don't really need to, it is lightweight and so completely easy to use. Bring it with when you are going for a walk, hanging out at the park, taking a bike ride, shopping at the mall, going to garage sales... pretty much anywhere that you would only need the necessities like your ID, keys, credit cards, etc. On one side of the Klub Pocket you'll find a zippered compartment that is great for keeping things secure and safe and on the reverse, there is an open pocket that has just the right amount of room to tuck a cell phone or small camera right inside. Perfectly simple and convenient! The Hip Klip/Klub Pocket is just one of a long list of innovative and useful products from Purse Bling that help make life easier for women and their purses. With great items like their Purse to Go Organizer or the Decorative Purse Hangers to keep your bag off of the germy floor, Purse Bling has something to make getting along with your handbag just a little bit better. As for me, I'm happy to trade in a little of my chaos for a cute, portable pocket that can go with me anywhere at any time. With four styles of Hip Klip and 25 Klub Pocket designs to choose from, that means you can customize your look 100 different ways - and there are new designs always being added! For $14.95 for the set (and $5.95 for a single Hip Klip in case you want an extra for just your keys or to make your Klub Pocket twice as secure), these are a handy thing to have around and make a great gift! Hip Klip/Klub Pocket Combo from Purse Bling! To enter to win: Visit Purse Bling, browse the selection of innovative products and tell me which is your favorite. 3 Extra Entries if you blog about this giveaway linking back to Thanks, Mail Carrier and Purse Bling. Please leave an address where it can be found. A big thank you to Jerilyn at Purse Bling for providing a Hip Klip/Klub Pocket Combo for me to review as well as for one lucky giveaway winner. The opinions shared are my own and honest and if you really need to see more, click here to see how I roll. I like Dragonfly- Finders Key Purse. 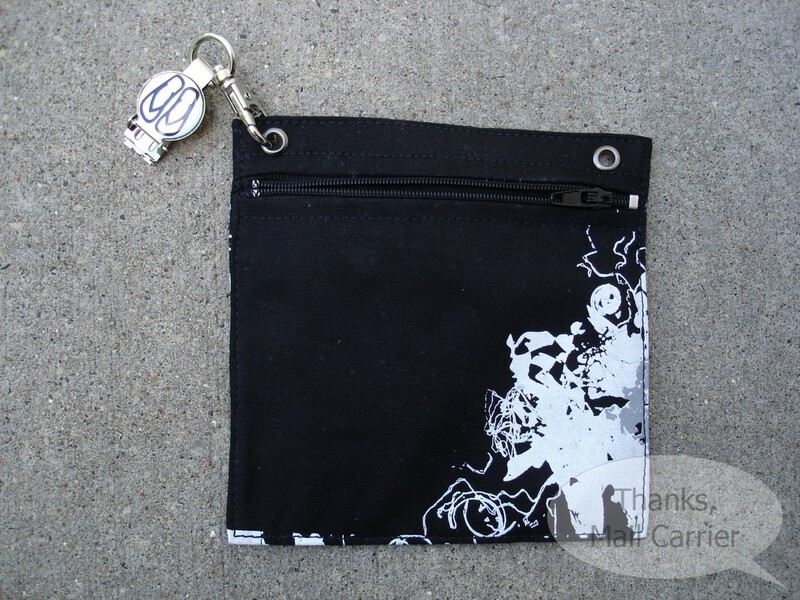 I like the Hip Klip/Klub Pocket Combo - Girly Swirls Black. I like the Artistree key finder! I like the Plum V Tote. I like the Hip Klip/Klub Pocket Combo - Sand Dollar - too cute! Hi Xenia -- I am a follower from the early days! Been away from blogging for a bit and now trying to catch up on all my favorite blogs -- so great to see you doing so well. Thanks for this post -- Purse Bling has a lot of cute and useful items, which is a great combination. I liked the Hip Klip black/white girly swirls. Hip Klip/Klub Pocket Combo - Cosmic Love - This one is super cute! I like the Mad by Design - Mother of Pearl Zig Zag Shoulder Bag. I like the cat trio pocket purse and the hip clip with flipflops. I like the Plum V-Tote.Thanks for the chance. I like the Billie Twist and Pout lip balm. Thanks. My favorite product is the Artistree- Finders Key Purse! The Hip Klip/Klub Pocket Combo would be perfect for our trip to Disney next year. My father is planning to wear a fanny pack but I wouldn't be caught with something like that on. Lol! I also need a Duke key finder! It would be really nice to take the Hip Klip/Klub Pocket Combo - Flower Child with me on the bus! I also entered the Jewelry Payless giveaway. I also entered the amazon gift card giveaway. I like the Glow Business Twist and Pout, the color and design is cool, and I have never seen anyone else with one. 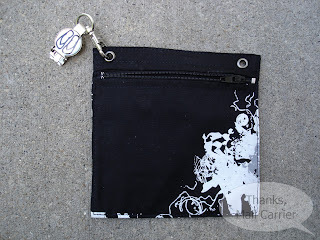 One of my favorites is the Artistree Finders Key Purse - it's cute, colorful and very useful. I entered your 191 Unlimited Giveaway. I entered your Trendy Tadpole Giveaway. The Joey Junior Purse Organizer is amazing! Christina - xristya@rock.com - I love the Swirly Black Pocket Combo! I follow Purse Bling on Twitter as hybroanglid. I LIKE Purse Bling on Facebook! I wrote on Purse Bling's wall! I entered the CafePress Flip giveaway! I entered the Jewelry Payless giveaway! Love the key finders! SO need that! I entered the Weboo shoes giveaway. I entered the 191 Unlimited giveaway!